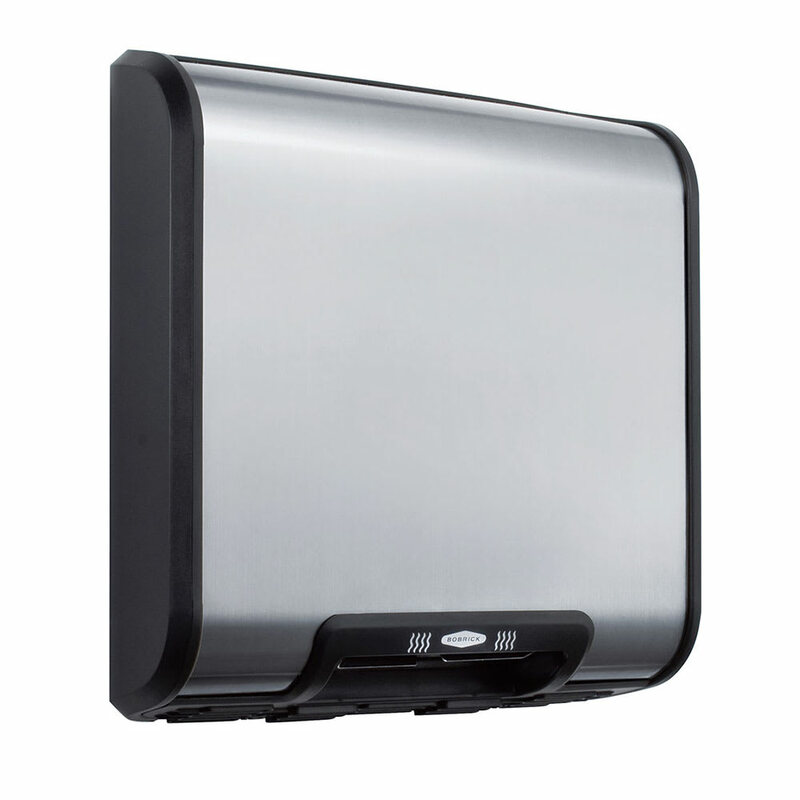 Trim Line Surface-Mounted Hand Dryer, stainless steel, 230V. No-touch operation: electronic sensor automatically turns dryer on when hands are held under air outlet opening and across path of sensor. 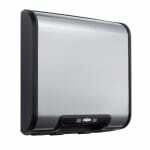 Dual air outlets provide a swirling circulation of airflow. Drying time less than 25 seconds. Electronic sensor will automatically shut dryer off 1-1/2 minutes after dryer turns on.